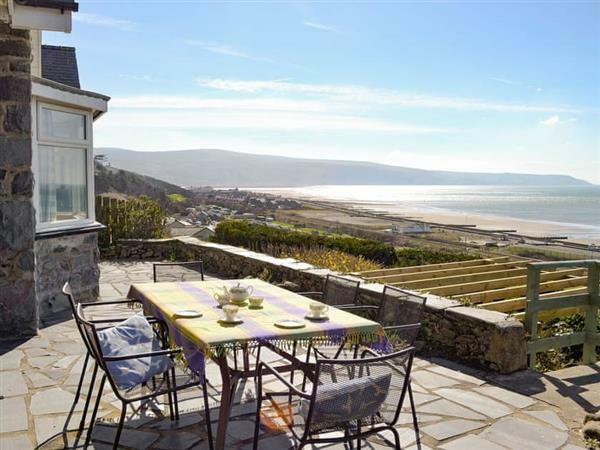 Rhosmair in Llanaber, near Barmouth, Gwynedd sleeps 8 people. Rhosmair near Barmouth has some of the best sea views; Rhosmair is located in an enviable, detached position and is ideal for families wishing to explore the West Wales coastline and Snowdonia National Park. 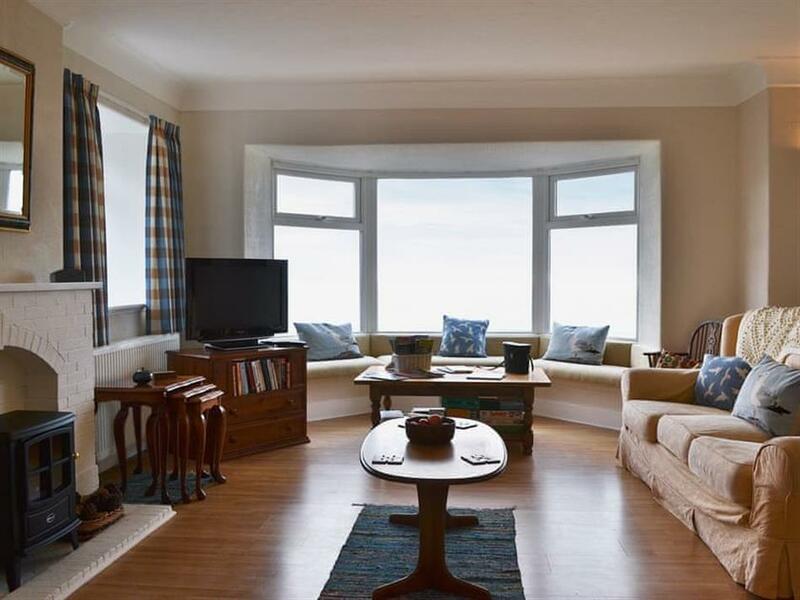 There’s a lovely patio overlooking the sea, or you can admire the sunsets from the window seat in the living room. Set in Llanaber on the northern outskirts of Barmouth, it’s just a short walk into the town centre with a range of pubs and eateries, together with the sandy beach (don’t forget to bring your bucket and spade!). There’s a funfair and even indoor soft play area. You can walk or cycle over the famous Barmouth Bridge and follow the Mawddach Trail along the course of the old railway line 9 miles to the pretty town of Dolgellau. There is so much to see and do in this wonderful area, climb the 2,928ft high Cader Idris, take a trip on the Fairbourne or Talyllyn Railways and wander along past waterfalls and forests. Conquer mighty Harlech Castle, UNESCO World Heritage Site, visit the quirky Italianate village of Portmeirion, fly over a slate quarry at Zip World in Blaenau Ffestiniog, or bounce on trampoline nets deep underground at Bounce Below. There is a beach 500 yards from Rhosmair near Barmouth. With the shop 1 mile, and the pub & restaurant are 200 yards from Rhosmair. Living room: With electric wood burner, 32 Freeview TV and DVD player. Kitchen/dining room: With electric wood burner, electric oven, electric hob, microwave, fridge, freezer, dishwasher and tiled floor. Bedroom 1: With king-size bed and shower cubicle. Oil central heating, electricity, bed linen, towels and Wi-Fi included. Travel cot, highchair and stairgate available on request. Enclosed terraced garden with patio and garden furniture. On road parking. No smoking. Please note: There are several steps in the garden. Holidays at Rhosmair run from Friday to Friday. For a better idea of where Rhosmair is, you can see Rhosmair on the map below. You can find more large holiday cottages (that's cottages which sleep 8 or more people) in Gwynedd. If you want to see more large cottages, have a look at large cottages in Gwynedd. Rhosmair is in Gwynedd; should you be on the lookout for a special offer, you can find all the special offers in Gwynedd. It's always worth checking to see what is on offer at the moment. Do you want to holiday near Rhosmair (UK10378), you can see other cottages within 25 miles of Rhosmair; have a look to find your perfect holiday location.